Dark Souls 3 Cheat Sheet. Contribute to the guide at the GitHub Page. Hide Completed Hide Completed At the back you'll find the Dark Stoneplate Ring; Enter the cathedral from the top of the dark section, unlock an elevator shortcut back down to Sulyvahn's room, and cross the bridge to the other side to find a Mimic who has the Golden Ritual Spear; The Ring of Favor+1 is at the other end... It's just before a bridge where 2 or 3 undead soldiers throw firebombs at you. Anyways, from there, backtrack a little bit, down the stairs (killing the soldiers in your way... and the crossbow sniper, of course) and onto that square-like section. 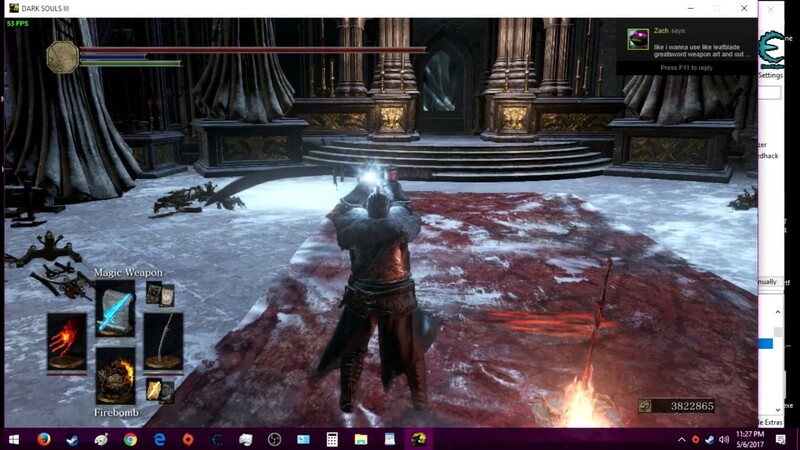 The series of Dark Souls have become accustomed in recent years, its many secrets and mysteries, like the illusionary walls, shortcuts, hidden passages, and The Ringed City, the second and final expansion of Dark Souls 3, is no less.... For the Dark Souls II variant, see Pyromancy Flame (Dark Souls II). For the Dark Souls III variant, see Pyromancy Flame (Dark Souls III) . "A pyromancer's flame is a part of his own body. 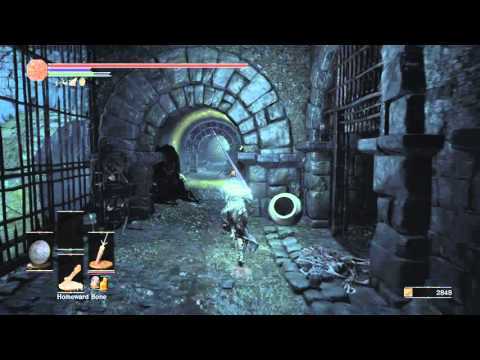 The series of Dark Souls have become accustomed in recent years, its many secrets and mysteries, like the illusionary walls, shortcuts, hidden passages, and The Ringed City, the second and final expansion of Dark Souls 3, is no less.... The series of Dark Souls have become accustomed in recent years, its many secrets and mysteries, like the illusionary walls, shortcuts, hidden passages, and The Ringed City, the second and final expansion of Dark Souls 3, is no less. So I found Seigward in the well - but was never able to find Patches in the Chapel. Tried checking the belltower at Firelink, no luck. Killed the Deacons of the Deep.... So I found Seigward in the well - but was never able to find Patches in the Chapel. Tried checking the belltower at Firelink, no luck. Killed the Deacons of the Deep. The series of Dark Souls have become accustomed in recent years, its many secrets and mysteries, like the illusionary walls, shortcuts, hidden passages, and The Ringed City, the second and final expansion of Dark Souls 3, is no less. So I found Seigward in the well - but was never able to find Patches in the Chapel. Tried checking the belltower at Firelink, no luck. Killed the Deacons of the Deep. It's just before a bridge where 2 or 3 undead soldiers throw firebombs at you. Anyways, from there, backtrack a little bit, down the stairs (killing the soldiers in your way... and the crossbow sniper, of course) and onto that square-like section.